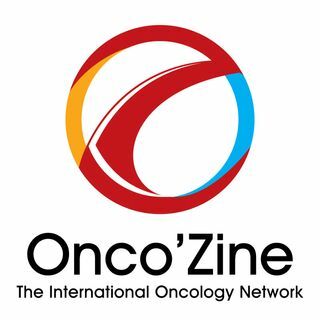 In this episode of the Onco’Zine Brief, Peter Hofland, Ph.D and Sonia Portillo talk with Col. James E. Williams who, during the annual meeting of the American Association for Cancer Research (AACR), held April 14 - 18, 2018 in Chicago, Ill, received the organization's Distinguished Public Service Award for Exceptional Leadership in Cancer Advocacy. Each year, the American Association for Cancer Research presents Special Recognition Awards to four individuals whose work made ... See More extraordinary contributions to the organization’s mission to accelerate the prevention and cure of all cancers through research, education, communication, and collaboration. These AACR Awards recognize groundbreaking, innovative work across the entire cancer community, and they reflect a wide range of contributions to cancer science and medicine. This year’s award recipients, Anna D. Barker, PhD; C. Kent Osborne, MD; Phillip A. Sharp, PhD; and Col. James E. Williams, truly represent meritorious work in research, patient care, policymaking, and advocacy. Williams, a retired Army colonel who served in the Vietnam War, was diagnosed with prostate cancer in 1991. After he beats the disease, he embarked on a passionate effort to educate men about the disease. His advocacy efforts include serving as a member of the Editorial Advisory Board of the AACR’s Cancer Today magazine; serving as Chairman of the Board of The Intercultural Cancer Council (ICC); serving as Chairman of the Pennsylvania Prostate Cancer Coalition; participating on the Patient Advocacy Committee of the Alliance for Clinical Trials in Oncology; and serving as a Board member of the Alliance for Prostate Cancer Prevention. Williams is an inspiration and a role model - not only to other cancer survivors, but also to the scientific community at large. As a steadfast passionate advocate Williams increased funding and research dedicated to men’s health issues, with an emphasis on prostate cancer. His selfless efforts are also instrumental in improving outcomes for racial and ethnic minorities and the medically underserved.